Vista Investments' sponsorship of the 2017 Meet The Money hotel finance conference wrapped up with an open house on May 9, 2017. The event was a huge success. Vista Investments will be sponsoring the 2017 Meet The Money National Hotel Finance & Investment Conference. The conference will take place from Monday, May 8 through Wednesday, May 10 at the Hyatt Regency LAX in Los Angeles, California. The company's General Counsel and VP of Business Development, Ross Greenman, is slated to serve as a panel speaker at the conference. EL SEGUNDO, CA -- Vista Investments, LLC announced today that Colby Woods has joined the company as Vice President of Construction. Mr. Woods will be responsible for leading and managing the hotel development company's construction projects. EL SEGUNDO, CA -- Vista Investments, LLC (http://vistainvestments.com/) announced today that Ross Greenman has joined the company as Vice President of Business Development and General Counsel. Greenman's arrival follows the company's recent, successful opening of the brand new Hampton Inn & Suites in Glendale, CA and its announcement of new hotel development projects located in southern California's Silicon Beach and downtown Los Angeles, CA. Vista Investments hired Greenman in order to fulfill the company's need for an experienced and energetic lodging development specialist. In addition to providing legal counsel he will oversee the development of growth opportunities and the implementation of growth plans across operations. See the completed Hampton Inn & Suites Los Angeles - Glendale hotel in aerial drone footage with a tour of the interior. Vista Investments, along with Hilton Worldwide, are pleased to announce the opening of the brand new Hampton Inn & Suites by Hilton Los Angeles – Glendale. SHR, a provider of innovative and advanced technology for the hospitality industry, will now be partnering with Vagabond Inn for an upgraded distribution strategy. Vista Investment's new hotel development progress can be seen below by the aerial drone footage. The five story hotel with a raised pool deck is expected to be complete by June 2016. SkyTouch Technology, provider of the most widely used cloud-based property management system (PMS) for hotels, announced today that Vagabond Inn will use the SkyTouch Hotel OS® platform to operate its portfolio of hotels. Vagabond Inn selected SkyTouch to help drive enhanced operational performance and a better guest experience at its properties. 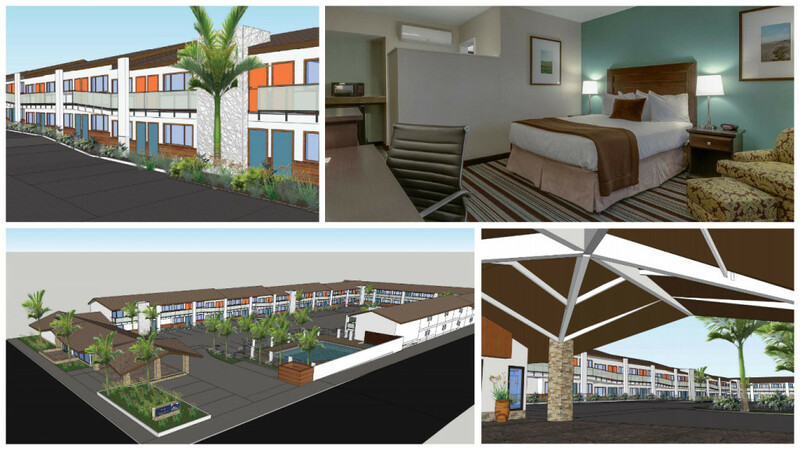 The Best Western Plus Inn of Ventura, located at 708 E Thompson Blvd, has received approval from the City to continue their nearly $2 million renovation project. Vista Investments LLC, the owner and operator of the property, is prodigiously optimistic about the proceeding headway and advancements.